Cubefree is a Citrix Experiment that helps mobile and remote workers find great places to work together beyond the cubicle. 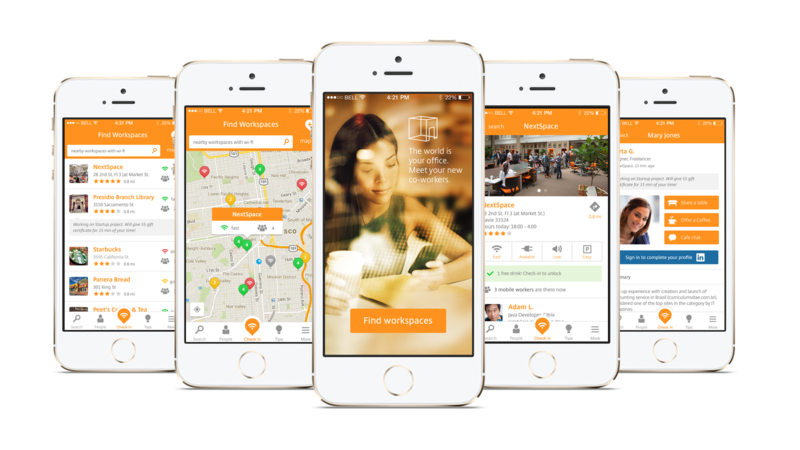 It is the first community targeting mobile and remote workers so that they can easily connect with and assist each other. Available on iOS in addition to a lightweight HTML 5 version, Cubefree uses Facebook and Parse to power many key parts of their app, from inviting new users to engaging existing users and more. We saved tons of development time using Parse. It allowed us to have our MVP (minimum viable product) in two weeks to present our experiment to the Citrix executive council. By saving so much in development time and resources, Cubefree was able to focus on the user experience. Cubefree uses Parse Push to notify its mobile workers about invitations to “share a table,” “offer a coffee,” to chat, plus other activities. Parse is also utilized for hosting data. Parse is excellent in enabling you to start projects fast. It’s easy to setup and implement, and includes many essential features such as push notifications, data storage, and background jobs. Cubefree by Citrix Labs is free to use and ready for mobile workers looking to explore new work settings and mutually minded professionals. Download from the App Store now or visit the Citrix Labs website for more.